Is your child sick? Lonely? Down? Perhaps feeling under the weather? Chabad is pleased to offer Matzo Ball Soup to The Rescue! 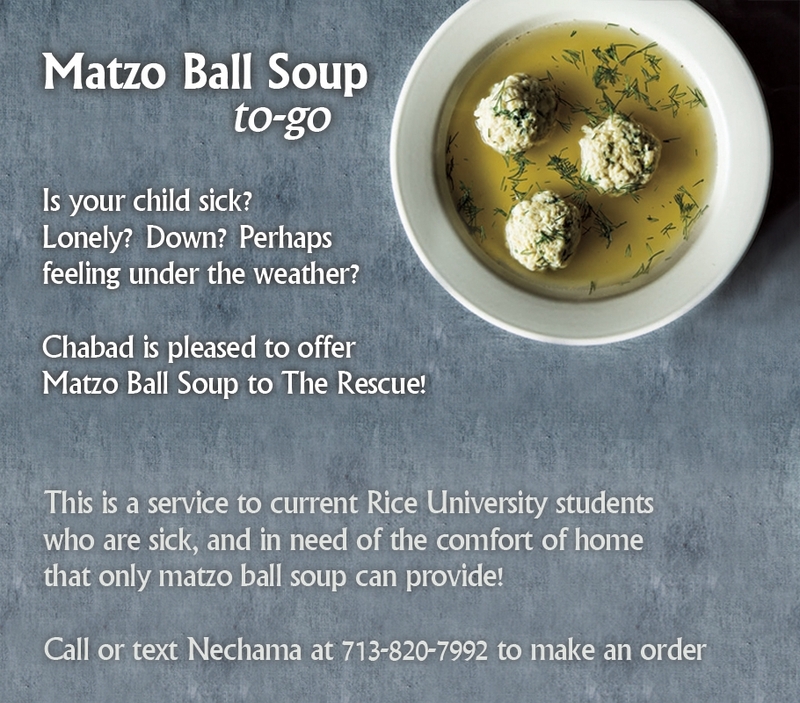 This is a free service to current Rice University students who are sick, and in need of the comfort of home that only matzo ball soup can provide! Call or text Nechama at 713-820-7992 to make an order.